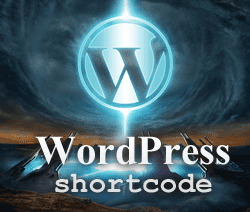 Remove unused shortcodes from post content - Vadym K.
This bit of code was very nice and quite handy, it don’t delete the shortcodes, witch is good if you activate the plugin, or whatever gives the shortcode, again. But most important, it removes it from the text. Thanks! Kenneth, Thanks! It sure beats doing a search and replace with the risk of corrupting the database. However, there still are instances of” [singlepic id=115 w=320 h=240 float=none]” in some posts. Any ideas? Thanks for sharing this, Vadym. Following removal of a plugin, I needed to “nullify” a shortcode which was on every post! I put your php code into a child theme; your code worked perfectly. I like the idea of leaving the shortcode in my posts temporarily, in case I change my mind and decide that I still need to use the shortcode.